The great and the good of Theatreland gathered at the former New London this week to usher in its new life as the Gillian Lynne Theatre . It has hosted an assortment of shows over the years, but none left as indelible a mark as Cats. Lynne famously choreographed the Andrew Lloyd Webber musical at the theatre, where it ran for 21 years, so earlier this year the composer announced his intention to dedicate the theatre to Lynne. Of course, the changeover wasn’t complete without a song and dance. For that, Lloyd Webber enlisted the help of his long-term frenemy Cameron Mackintosh. The invitation boasted that the event would be “interfered with” by Mackintosh, and, boy did he get his hands dirty. 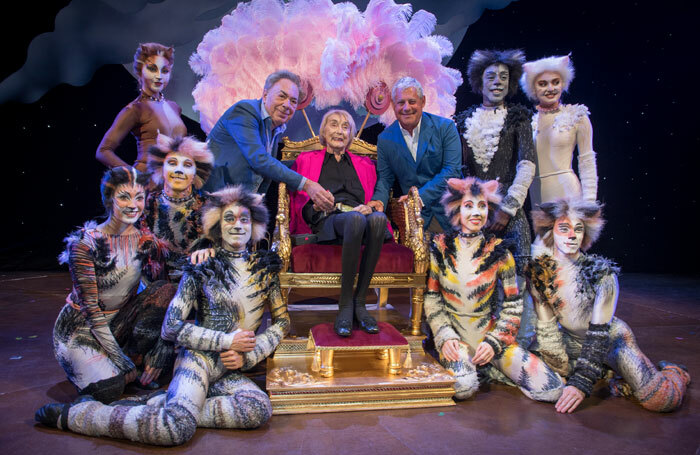 There was an ALW musical megamix, Cats (naturally), and not an insignificant amount of dry ice. The queen herself arrived atop a golden throne carried on the shoulders of half-naked men, while more half-naked men indulgently fanned her with giant pink ostrich feathers. Apparently there weren’t any Ubers free.